Most people are lucky if they have one loving family. Faith Westby has three. 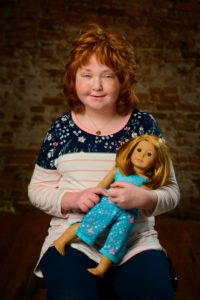 Faith is a sweet, charismatic 15-year-old girl living with a rare, multi-system disorder. 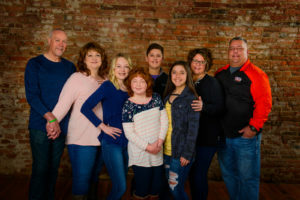 During an annual checkup for the girl who already had heart surgery, doctors diagnosed her with a large atypical adenoma on the left side of her liver and multiple adenomas on the right side as well. Long story short…she needed a new liver. 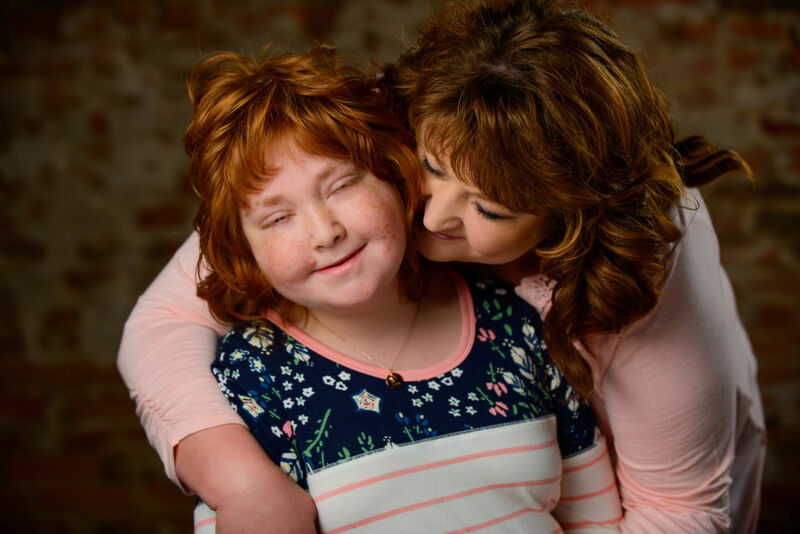 “When we first learned that Faith needed a liver transplant, it felt like our world had been turned upside down,” said Faith’s mom Jeannie. “It was territory we knew nothing about and it scared us. Her health was never the greatest, but learning that she had cancer in her liver and that she needed a transplant was a complete shock. On July 4, 2017, the Luft family was spending the holiday with friends. Logan, a full-of-life 15-year-old boy, was thrown from his ATV, resulting in bleeding in his brain. He was airlifted to Saint Marys in Rochester, but it was too late. Logan was pronounced brain dead on July 5. His parents, Wendy and Lenny, prayed that his organs would be used to save multiple lives. On July 7, two days after Logan passed away, Jeannie and Peter received a phone call they had been waiting for since the diagnosis. Faith was going to receive Logan’s liver. The Westbys were told that the liver came from someone in the tri-state area, but did not receive any additional information. A news broadcast about Logan made them think about the possible connection to the Lufts, but it wasn’t until Jeannie received a Facebook message from Wendy that they learned the truth. “I knew from the very beginning that it was Logan’s liver,” Jeannie said. “My heart was broken for their family. It was hard to understand how I could feel so much joy (for Faith) and so much sadness (for Logan and his family) at the same time. Jeannie did not respond immediately, scared that the Lufts would be disappointed with the way their son’s liver was used, or rather, who it was used to save. But that fear was washed away with happy tears after the two finally connected. Logan and Faith are forever connected, as are the Westbys and Lufts. They refer to each other as a second family. And, according to Jeannie, the Westbys have a third family. Faith was born with her disorder and faces a lifetime of complex medical needs. Her needs directed her and her family to Mayo Clinic for treatment. Mayo Clinic directed her and her family to the Ronald McDonald House of Rochester, Minnesota for comfort and care. “Walking through the front doors (of the Ronald McDonald House of Rochester) was like walking into a completely different world,” Jeannie said. “It’s such an uplifting feeling; you feel loved. It is home, it is comfort and it has brought Faith and our family so much joy. After long days of hospital visits and recovery, Faith’s nights were filled with crafts, campfires and therapy dogs. The family was able to stay together, eat together and laugh together. While Faith enjoyed being a kid, her parents enjoyed the sense of community. Families at the House are supported by staff, volunteers and other guest families. It’s a support system that is special and unique. And the Westbys wanted to share that community with the Lufts. Home is the place where one lives as a member of a family. Home is the place where something flourishes. Home, for the Faith and so many others, is the Ronald McDonald House of Rochester. 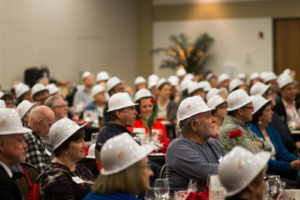 ROCHESTER, MINN.—The Ronald McDonald House of Rochester, Minnesota announced at Tuesday night’s Annual Meeting and Volunteer Appreciation Dinner that it will break ground on its 30-room expansion on May 1. The Board of Trustees voted to move forward with the expansion at its monthly meeting in March, reflecting significant progress in the $16.5 million Love Tremendously Hope Exceedingly capital campaign. In addition to the 30 guest rooms, the expansion will include a small indoor gym, indoor and outdoor play areas, underground parking, and green space. All aspects will be completed using modern construction, creating welcoming and comfortable areas for children and families. The expansion makes the Ronald McDonald House of Rochester the largest Ronald McDonald House in the state of Minnesota. The Ronald McDonald House of Rochester serves nearly 1,000 families per year, but the need for its services continues to grow, as Mayo Clinic sees 1.65 million outpatients and 130,000 hospital admissions annually. The expansion allows the House to serve many more families for years to come. But the work is not over. More families need the Ronald McDonald House of Rochester and the Love Tremendously Hope Exceedingly capital campaign is not complete. 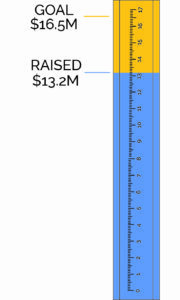 The planned cost for the expansion is $16.5 million and, with $13.2 million in funds raised to date, the House still needs to raise $3.3 million. Founded in 1980 as Northland Children’s Services, the Ronald McDonald House of Rochester, Minnesota provides a home-away-from-home and offers support to families seeking medical care for their children. For more information about the expansion and the Love Tremendously Hope Exceedingly capital campaign, visit www.rmhmn.org. When the search for answers to Seth Bayles mysterious illness brought him to Mayo Clinic back in 2009, it was the beginning of not only treatment to halt the progression of his rare autoimmune disorder, but also his family’s special relationship with their “home-away-from home” while in Rochester – the Ronald McDonald House. 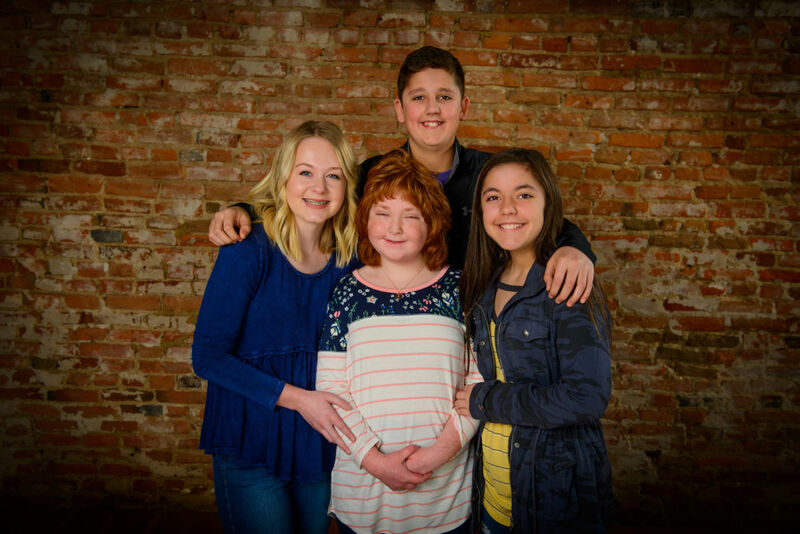 Seth’s family credits RMH with helping to keep their family close, allowing them to stay near Mayo Clinic, and providing much welcomed comfort, support, and hope. Over the past several years of Seth’s treatments, they’ve been grateful for every opportunity when they were able to move from the waiting list to the House and have developed close bonds with staff, volunteers and other families they have met during their visits to Rochester. After receiving so much from the House, Seth wanted to give back – and was inspired to join in the collection and donation of aluminum pop tabs to the House. “While our family was staying at the House, years ago…we noticed people coming into the lobby dropping off tabs. Seth got the idea that this was something he could do. He knew he could tell others about the importance of collecting the pop tabs. Little did we know how fun it would be to get the community involved in helping him to give back to his home away from home,” said Seth’s mother Julie Bayles. The Ronald McDonald House collects pop tabs all year round as an ongoing fundraiser. Ronald McDonald House accepts them, stores them up in a designated area and then takes them to their local recycler to cash them in. The money is used to offset the expense of running the Rochester Ronald McDonald House. Seth and his family are asking others to help by collecting pop tabs and also consider making a monetary donation that will go towards the much needed expansion to the House. 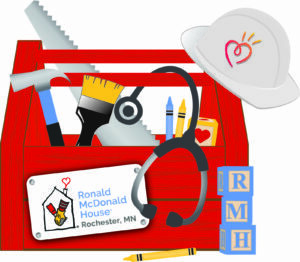 On average the Ronald McDonald House of Rochester, MN serves approximately 900 families every year from across the country and around the world. In 2016, over 1,000 families were turned away because the House was full and did not have room. Over the past three years alone, more than 3,000 families were turned away because of capacity constraints. Seth’s story in the following video. https://www.rmhmn.org/wp-content/uploads/2017/04/RMDH-LoveHope_7708.jpg 1067 1600 Neil Moeller https://www.rmhmn.org/wp-content/uploads/2017/06/RMH-Rochester_horiz-color_tagline_margin.png Neil Moeller2017-06-20 10:24:302017-06-20 11:39:04Challenge Grant Announced! Over the past three years, 3,000 families were turned away from the Ronald McDonald House of Rochester, MN because of capacity constraints. “Families travel great distances to our House and often have exhausted every medical resource available near their homes. They come to our community seeking hope, healing, compassion and comfort,” said Peggy Elliott, Executive Director of Ronald McDonald House Rochester, Minnesota. “We must answer the call to provide love and hope to seriously ill children and their families. We are so grateful to all of our donors and friends for their generous gifts of support to grow our mission,” said Elliott. Watch our latest campaign video about our former guest, Bryce. Watch the audio description version of this film by clicking here. 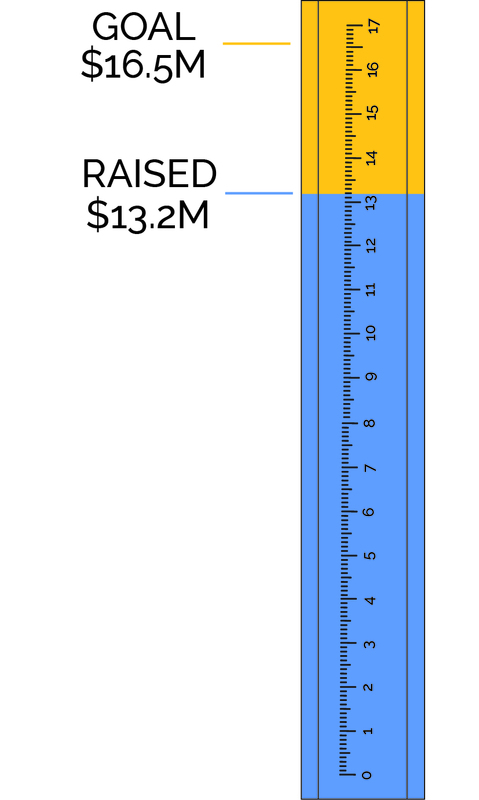 Click here to make a donation to our Love Tremendously, Hope Exceedingly capital campaign.